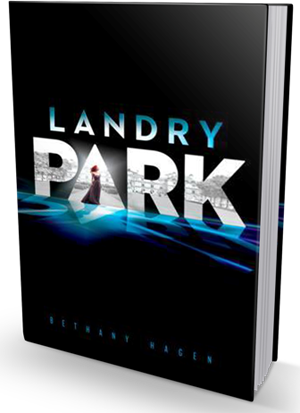 Today I have the pleasure of welcoming author Bethany Hagen to the blog as part of a blog tour for her novel, Landry Park. We also have an awesome giveaway for you guys, so after reading the guest post and checking out Landry Park be sure to scroll down and enter! I started thinking about Landry Park a few years ago, while I had a job working at a history museum. 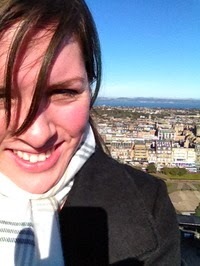 I gave two tours—one of an Edwardian schoolhouse and the other of a 1950s All-Electric House. And so to that end, I was thinking about and talking about (and dusting the Plexiglas off) some very disparate things. It was lacy dresses and pictures of Edwardian debutantes one day and then the next it was Cold War hysteria and bomb shelters. After about a hundred hours of solitary roaming in the exhibits in between tours, the grain of the idea began to take hold—a future that depended on nuclear power, a future that looked a lot like the past.